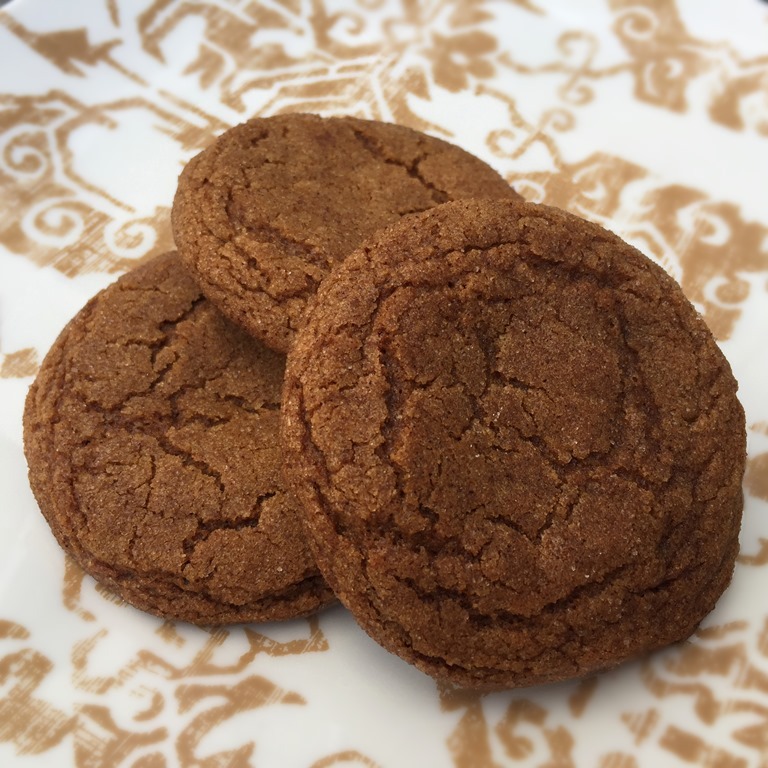 These are a soft and chewy molasses cookie, similar in taste to gingerbread, but without the work of rolling and cutting dough. I love the way the house smells while these are baking! Better than a scented candle any day. In a large mixing bowl, cream together the butter, sugar and brown sugar. Add egg and egg yolk and beat until light and fluffy. Beat in the molasses and vanilla extract. In a separate bowl, combine flour, baking soda, cinnamon, ginger, cloves, allspice and salt. Add the dry ingredients to the mixing bowl and beat until mixed. Cover and chill dough for one hour. In a small bowl, stir together the ½ cup sugar and 2 tsp cinnamon. Roll the chilled dough into 1” balls and then roll the balls in the Cinnamon Sugar mixture. Place dough onto ungreased baking sheets. Bake for 9–10 minutes. Do not overbake, or they will no longer be chewy. Cool cookies on a wire rack.